The idea of a Supergroup is a funny thing. A gathering of very talented and creative musicians get together to pool their ideas to create something, they hope, that is absolutely amazing. Sometimes that happens, bands like Cream or The Travelling Wilburys spring to mid for a start; however, often what ends up being created is an album that is somewhat written almost by committee, something that inhibits the creative process because of the sheer amount of creativity that is thrown at the project. 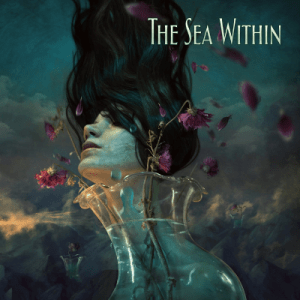 And unfortunately, for me, the new album from the collective known as The Sea Within, being released on the 22nd June 2018, falls into the latter category. The roster of acts that the members of the band have worked with, including Steven Wilson, Yes, and Steve Hackett, obviously shows that these guys are hugely talented and, indeed, this is proven by the playing on the album and accompanying 4 track E.P. There are some fantastically gorgeous moments recorded, the sub E.L.O. / Supertramp vibe on the first half of the 14 minute epic Broken Cord is sublime. But here also is the problem; this song would be a perfect six to seven minute progressive pop tune, it’s a shame they felt the need to include a huge swathe of jazz improv. showing off onto it. This is a fault repeated on a few of the songs, it’s like someone in the band came to the studio with something they were desperate to have included with the production team including it where they could instead of asking the pertinent questions, does it add to the tune, does it fit, is it needed? In 1832, JMW Turner, at The Royal Exhibition, upstaged his great rival John Constable, by adding to his great painting Helvoetsluys, a small smudge of orange paint. Just that, something very small and insignificant on the face of it, but hugely significant in the bigger picture. Turner understood the principle of less is more, he had the ability to recognise when something was finished. He didn’t need to keep on adding, he just knew that what he had created was good, brilliantly, jaw-droppingly amazing. A little bit of this level of self-awareness would have been something which would have improved The Sea Within immensely. They have created a very, very good, maybe even great album here; it’s just that I don’t think they realised they had, they couldn’t stop; if they were Turner they wouldn’t have stopped at a little orange splash, they’d potentially have taken a spray can to the canvas and covered the painting in orange. Ironically, though, the four track E.P. proves that The Sea Within have got that awareness; maybe because of the format it is recorded on helped, but these four tracks, The Roaring Silence, Where Are You Going, Time and Denise are focused, unfussy and spell-blindingly good – a really enjoyable 28 minutes or so of driving, clever and immense progressive pop rock. For me, if I was the producer, I would have taken all the superfluous showy off bits out of the album, lost a couple of weaker tracks and included the E.P. in the album itself. Perhaps it’s a project one of the erstwhile musicians, Steven Wilson perhaps, could get their teeth into – turning this reasonable and worthy album by very talented musicians into the potentially great one that is hidden in it. For the listener it is a worthwhile listen, but I’m convinced it could be, and should be, so much more with a helluva a lot less on it. 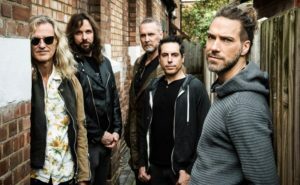 The album can be pre-ordered here https://theseawithin.lnk.to/TheSeaWithin before the release date of 22 June.